Big Fat Piggy Bank: Outback Gift Card Deal! 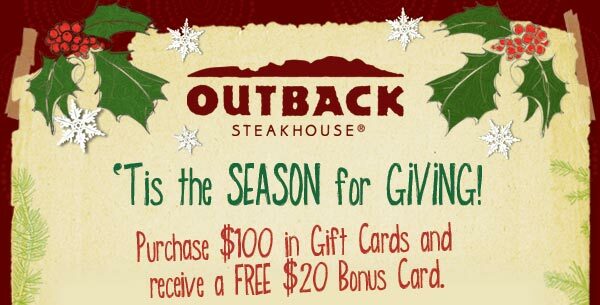 Outback is offering a $20 FREE gift card WYB $100 in Gift Cards. I love all the gift card deals that come up during the holidays. If you see a gift card deal like this for a place you frequent go ahead and buy it for yourself. You'll instantly get a discount on your purchase. Combine that with coupons and you'll have an even better deal!